108) Avatar Dork Fest...the edited version. 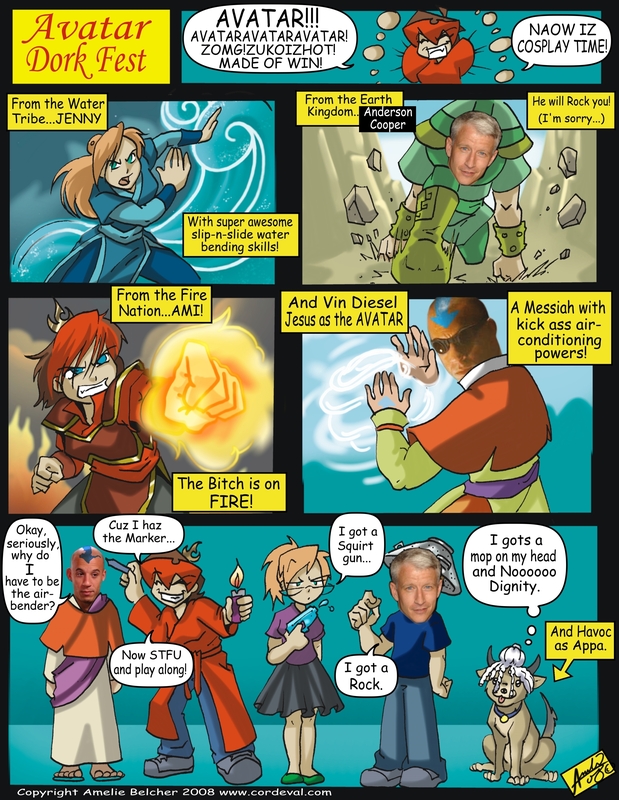 When you piss off an Ami...you get replaced in the comic by Anderson Cooper...cuz Ami likes to look at Anderson Cooper. So There.